Song has been a favorite from the day she was born. She is the result of a breeding I was dying to make from the first time I saw her sire, Timeless. I was thrilled to get two does out of the breeding to keep in my herd, and have really enjoyed watching them grow. She is a very long doe, with good width throughout, and stands on a strong set of feet and legs. 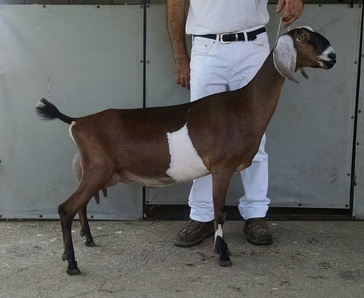 She has been undefeated in her age group classes, winning reserve jr. champion at the first show, and earned her dry leg at the second show out! 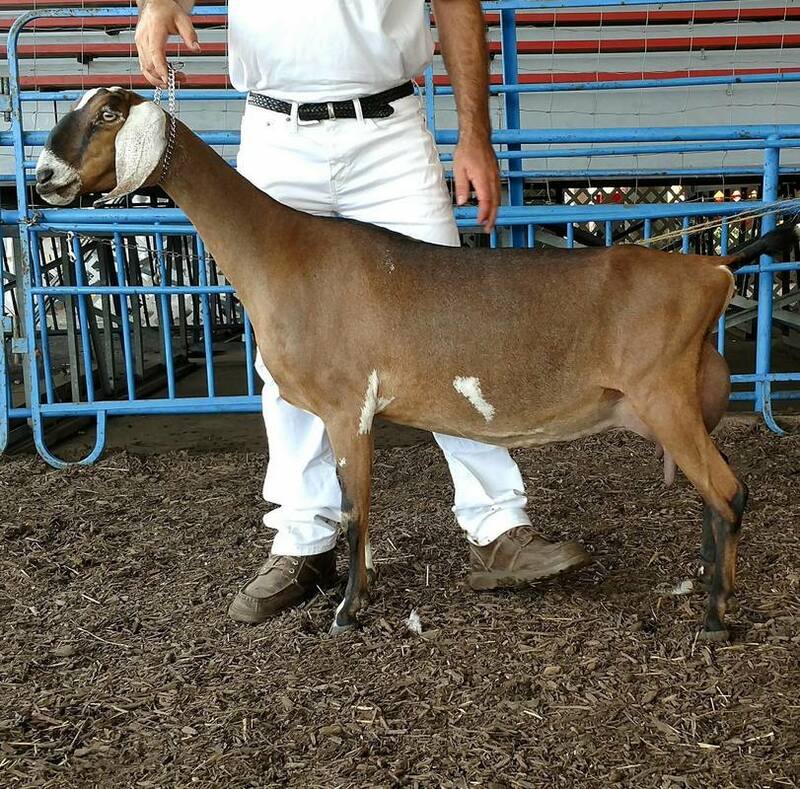 Additionally, at the 2016 ADGA National Show, Song was awarded 2nd place, with 2nd udder milking yearling!! I could not be more pleased with Song at this point in time! As a two year old, Song freshened with exactly the type of style I was hoping would come with maturity. 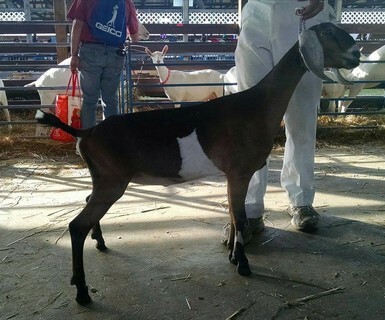 She finished her championship at the first show out as a two year old! She also was named the All American Milking yearling(she had won All American Intermediate kid the year before). My only issue with Song is that she has not given me any doe kids! As a result, we felt it appropriate and are very excited to welcome back her first buck, Never Fail TZ Nester to our herd. Nester has been used pretty heavily in 2017, and we are excited to see his 2018 kid crop! Song is a dream come true, and will be a fun one to watch mature! 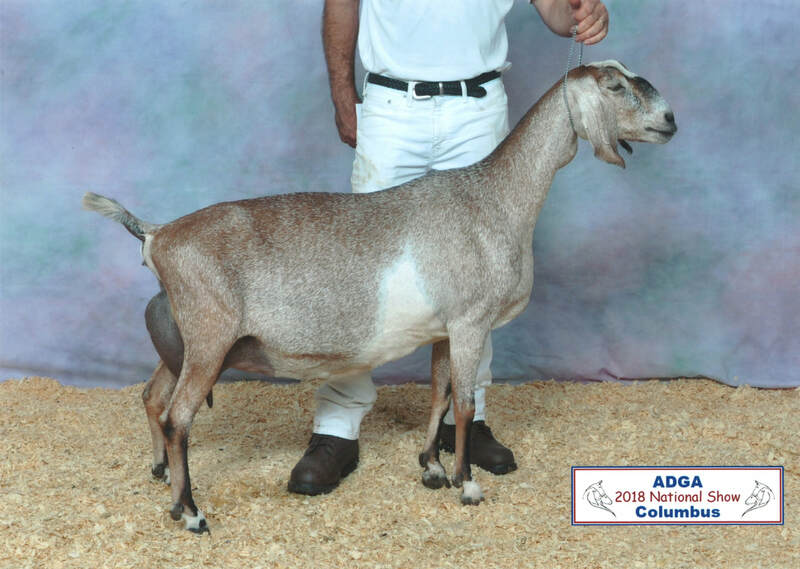 Song's dam and sire are G6S normal, so she is normal by parentage as well.